I cannot take the credit for this post, it was sent in by fellow F430 owner Marc Legadec. The procedure was performed on an F430 but it is also identical for the 360. Over to Marc…. Changing the rear discs and pads on a F430 or 360 is a little more involved than the fronts as you have to deal with the parking brake but it is still well within the capabilities of the average DIYer and will save you a lot of money compared to getting it done at the main dealer. I have chosen to fit standard discs but I will be using EBC Yellow Stuff pads as I will be using the car on track from time to time but mostly just normal road use. My only real concern with the pads is excessive brake dust, not a real issue but just annoying. Note the discs are standard Brembo items used for a number of different vehicles and you can save a lot of money getting them from a company such as Superformance. 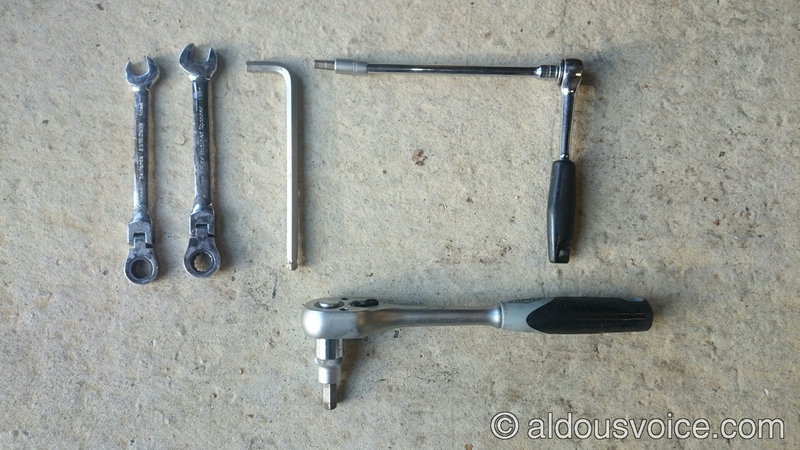 You will need; a 12mm & 13mm ring spanner, a 6mm, 8mm & 10mm hex key. Remove the road wheel with the car in gear to stop it rolling as you will have the hand brake off. 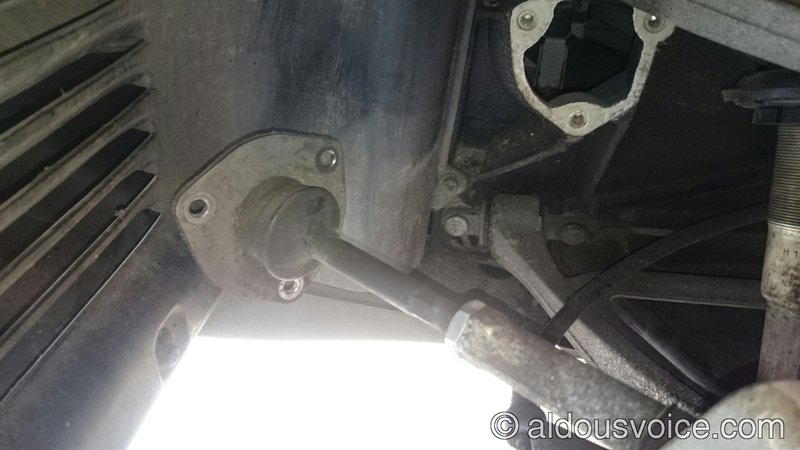 First you need to undo the 3, 6mm hex bolts that hold the rear tracking rod to the chassis. Once these are off you can rotate the hub allowing you to access the bolts holding the handbrake calliper to the hub. 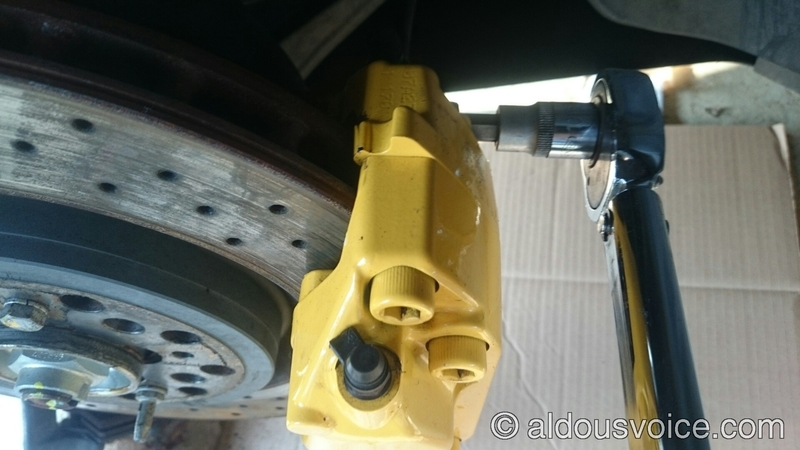 With the hub rotated you next want to remove the handbrake calliper. 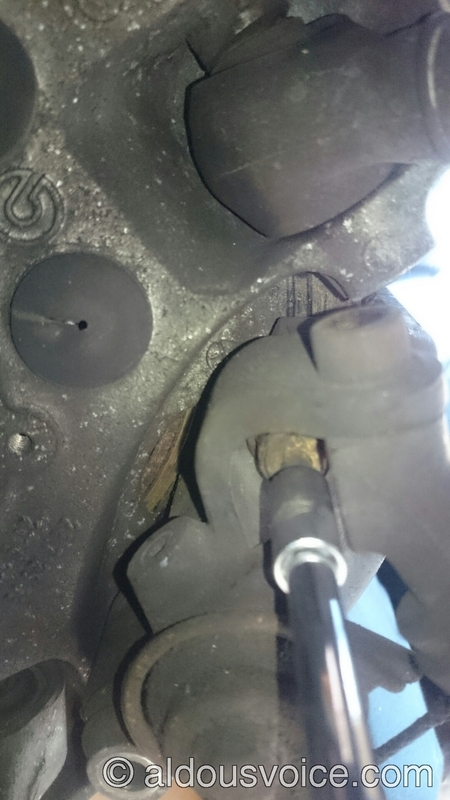 Undo the lower 8mm hex bolt which is the other side of the calliper, a bit tricky to see without rotating the hub first impossible to get to. 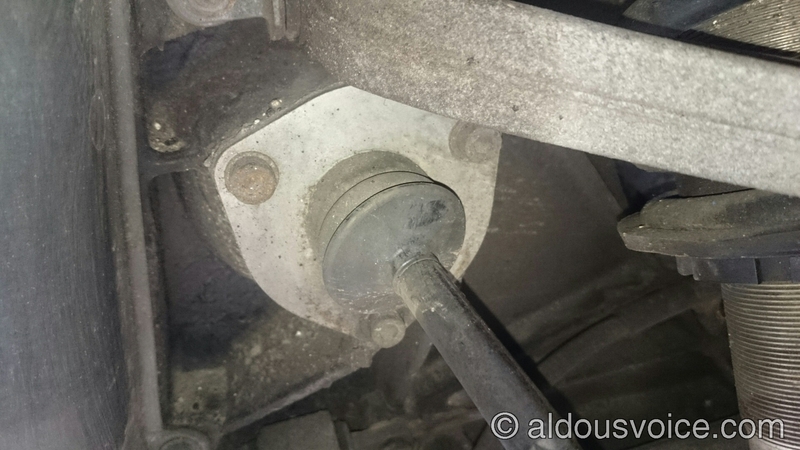 ….and the upper 6mm hex bolt and remove the handbrake calliper. 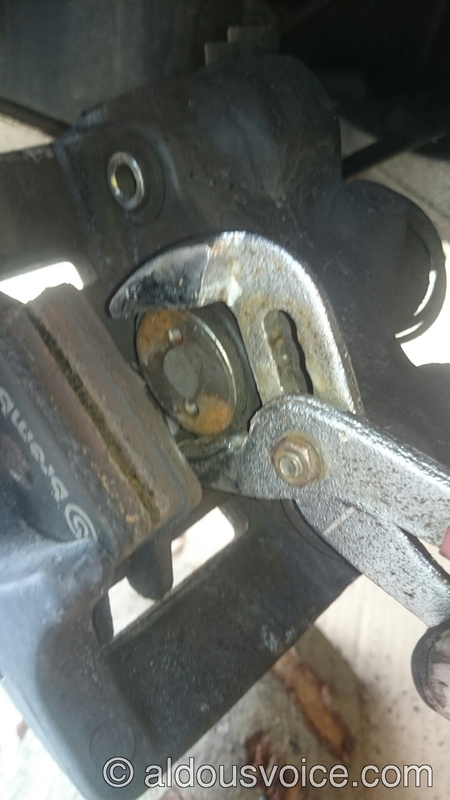 Once you have the handbrake calliper removed you will need to rotate the piston to retract it before you replace the calliper as the new discs will be thicker if there was any wear as in the case on my discs. 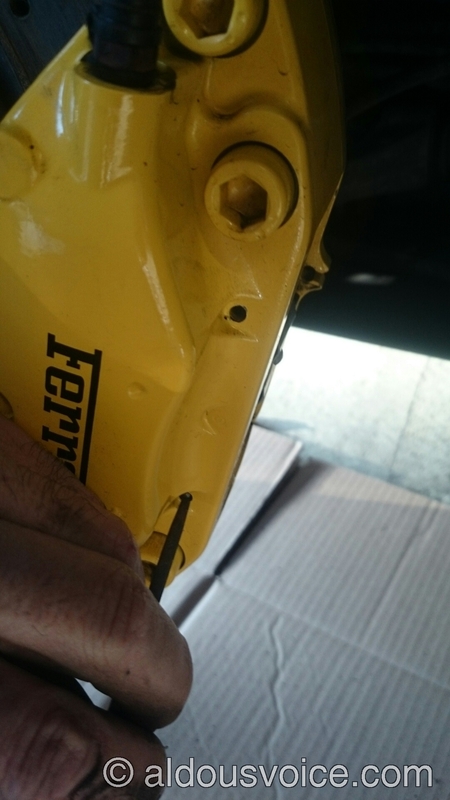 I believe that there is a special Ferrari tool but I carefully moved it using a wrench as shown. 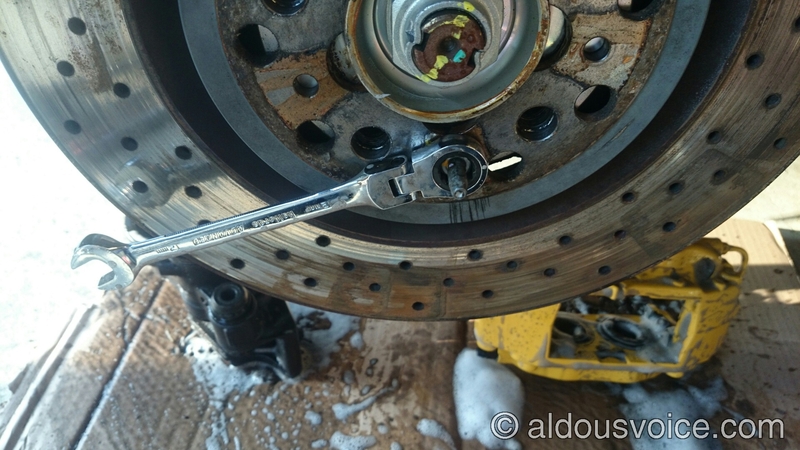 AV NOTE: One can purchase a brake calliper rewind tool very cheaply that should do the job here. Next punch out the retaining pins for the brake pads removing the spring clip and the old pads. 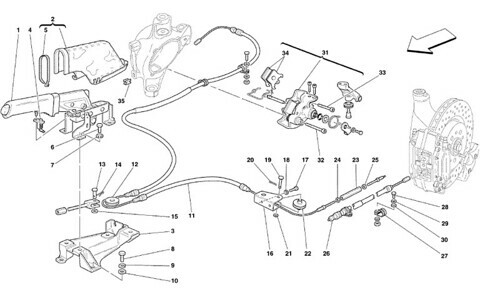 Remove the 10mm hex bolts and remove the brake calliper, note these need to tightened to 70NM when you replace them. You must also use thread lock paste. Remove the 13mm retaining nut and 12mm locating nut allowing you to remove the old disc. Replacement is the reverse of removal. Make sure that you use high temperature (copper grease) on the new brake pad backing plates. Make sure that you follow recommended bedding in process for your new pads. Also note that the road wheel bolts should be tightened to 98NM. I’ve just done this job - well half of it! I did my half exactly as per this write up. The other half was done by a Ferrari tech I know. 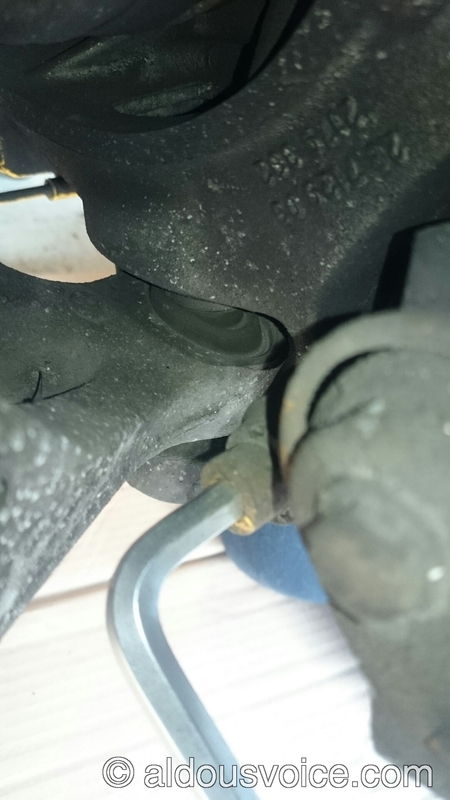 You don’t have to take off the handbrake calliper and therefore undo the TCA. All you do is remove the clip that secures the pin in item 31 and drift out the pin . This secures the pads. 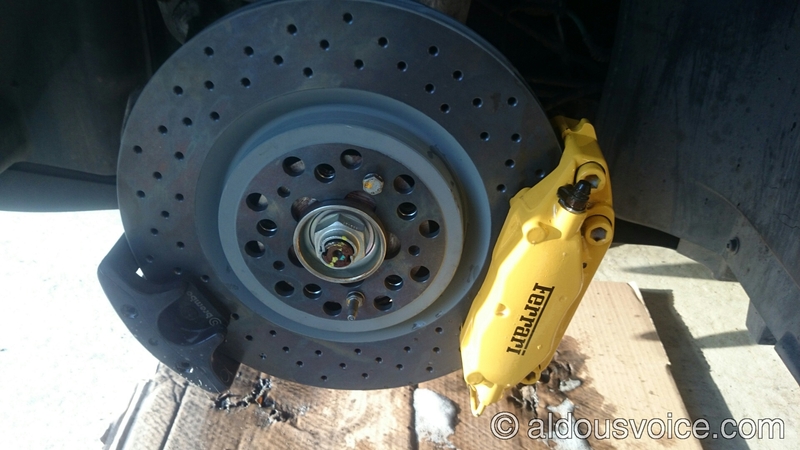 Then you remove the outer pad and the disc will come away once the main calliper is removed. 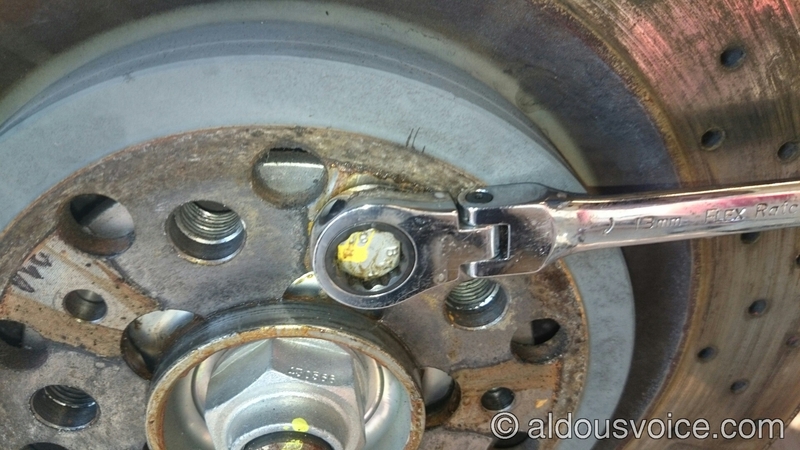 WADR this is much easier than removing the calliper. It has been known for the three bolts that secure the TCA inner pick up to give problems as the bolts actually screw into a threaded sleeve in the alloy casting. If that come loose you have complications! Why risk it?